I purchased this to use in the microwave so that I would not have to heat up the house using the oven in summer time. I am very happy with this pan.Every thing that I have made in it has come out just the way I like it. I purchase season fries,french fries,breaded chicken snacks, chicken fries from Swanns which come frozen. 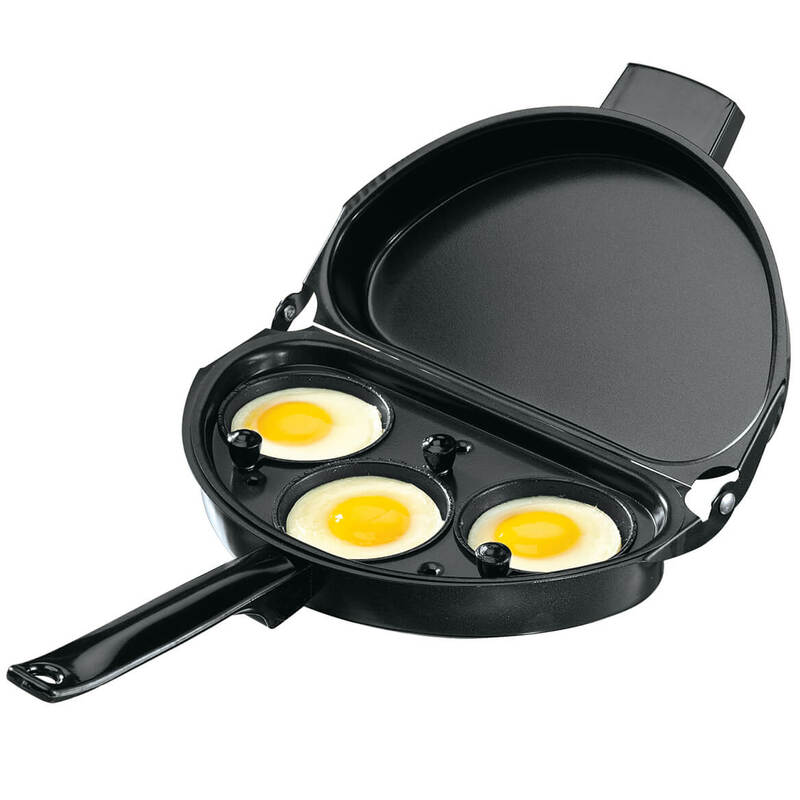 This pan is perfect for making those. I usually arrange the chicken around the outside in the pan and put the fries in the middle. How long it takes depends on the level of crispness that you want for what you are making. I like medium crispness so average is about 3-4 minutes depending on product I am fixing. I have never tried it yet for french fries made from raw potatoes so no idea how those come out. Every thing that I have made has been from the frozen state. Make sure you take precautions cause this pan does heat up fast and gets very hot. Always use mitt or pot holder when removing from microwave. And take precautions when checking food while cooking. Brilliant idea for the microwave. I use this regularly for french fries and chicken nuggets. Fast, easy, and clean. Very handy for heating and reheating. 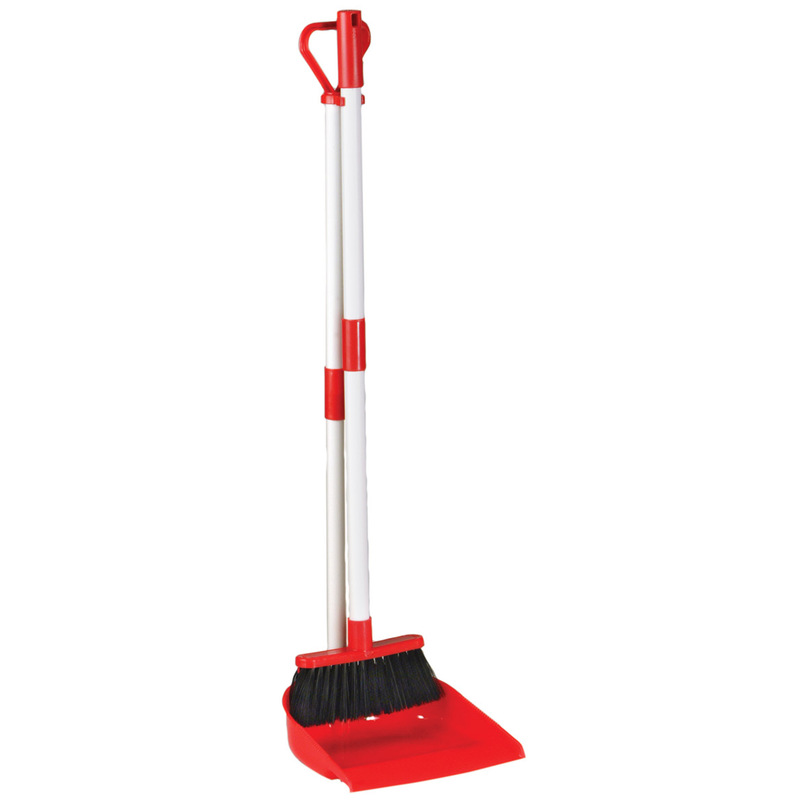 Easy to use, easy to clean. I would buy this for others. I use this instead of turning on my oven to cook pre-cooked fried frozen foods like fish sticks, chicken wings, etc. A perfect answer to my need! Just what I needed for those quick snacks! They are great because they both work perfect. 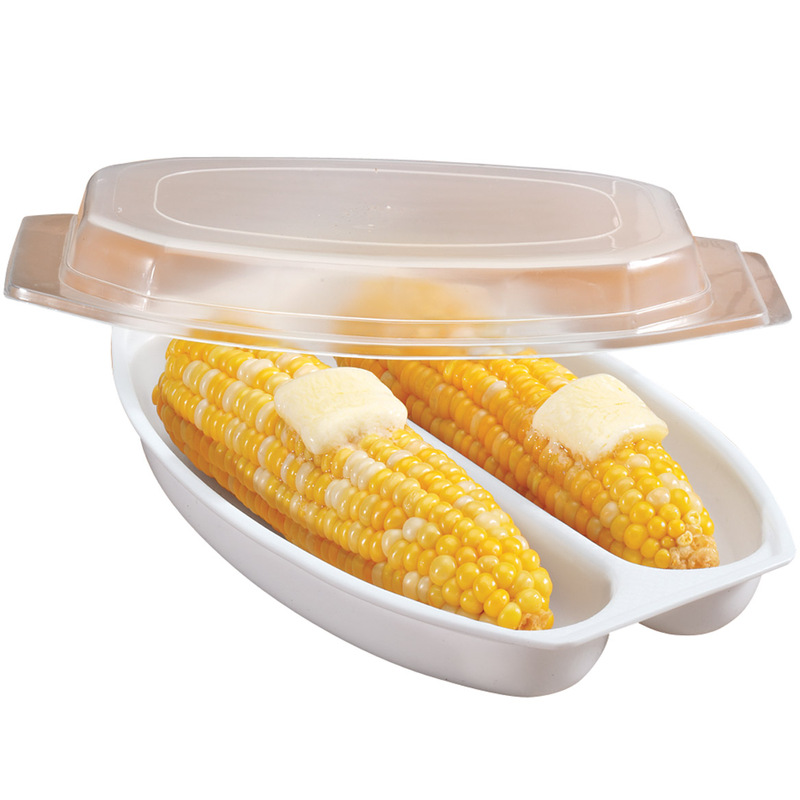 It is perfect for microwave cooking. I cook many different things in it. I love it. I used it to crisp pizza .The crust of the pizza I get delivered is always soft ,seems under cooked, this pan solved this problem in short order. only have used it once. heated chicken wings up and was very satissfied with thew results. Can finally get crispy fries and pizza rolls (plus other frozen foods) in my microwave! My husband travels alot, he uses his pan and absolutely loves it. He says it works wonderful! You know those leftover fries and chicken tenders that you just couldn't finish at the restaurant? This is the perfect solution. I used to take the chicken home and leave the fries because the microwave made them soggy and unpleasant to eat. This pan makes all the difference. It keeps the fries (even after overnight refrigeration) fresh and slightly crisp. The chicken stays slightly crunchy. Great way to save money with a smaller appetite. You should read the directions before using. It heats very quickly. It works as advertised. Can't get any better than that. Would someone please tell me how to preheat this pan. The instructions did not include that and my food does not come out crispy, only soggy. The instructions do say to preheat this pan before use and to not put it into the micro wave without any food. How should I preheat this pan and will that make the food come out crispy?? Only used for frozen fries so far. It does not make them crispy and I hesitate to try any other frozen products like fish sticks, etc. Sorry I bought this, thought it would save time and not have to turn on the oven.Would not recommend. The pan looks very nice but I was quite disappointed when I used the pan to cook frozen French fries. When I cooked them the required time they were soggy. By the time that they were sort of crisp they were like eating plastic. To be fair I only used it once and I will try it again but I do not expect a better outcome. wish they had a recipe book for this pan. Like that pan is not hot when taken out of Micro. Wish their was a recipe book for this pan. Sorry it did not work for me. Sorry this did not work for me. I reheated shrimp and fries, and they got hard. The directions say to reheat for 5 minutes, I only reheated for less than 2 minutes. Not a good buy for me. I tried reheating some fried leftover food and did not crisp as mention. was very disappointed is product. maybe is works for frozen, but did not want to purchase to try it out. I tried to use the pan as directed but never got crispy food. The bottom seemed to explode and left a hole in the bottom. Not safe to use. First time use the microwave caught on fire and needed to replace it ASAP. All recommendations re usage were observed. I will never use it again and I cannot recomend it to friends and family. I am very, very disappointed in this product. Save your money, this product does not do what it advertised. 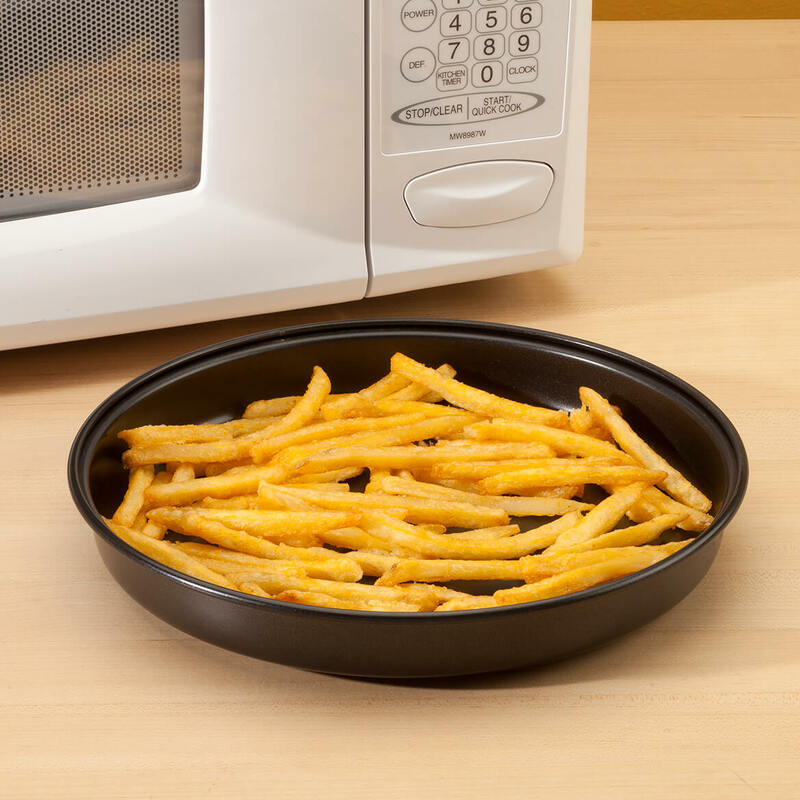 Although I read other negative reviews, I still had hope that this pan would crisp items in the microwave. WRONG!! IT DOES NOT WORK AT ALL!! I have tried french fries, pizza, and fried shrimp. All were limp and soggy...and the shrimp became tough. So sad. I really wanted it to be a great addition to our kitchen, but save your money. DO NOT BUY THIS PRODUCT! I am only interested in that the product is capable of performing the functions that it was designed for, and it doesn't. I might try it again but not sure. Used it once and saw 2 small spots where metal was showing. Will not use this one again. I tried next day pizza, fries, fried chicken...... and nothing worked! This product is a big waste of money!! Also you have to preheat pan in microwave and pan makes noise. That kinda of was scary. And now the rubber on the bottom of pan is bubbling and cracking. Only have had the pan for one month. NOT HAPPY!! My review is not a favorable one. The crisper pan did not crisp the French fries. They came out very limp. don't want to heat oven for a few fries. Reheating food, and getting soft fries, or fried chicken. Not yummy. With this item, I can get the crunch. Tired of soggy re-heated French fries. It's worth a try. heat up leftovers without getting soggy. I hope this works and does make items crispy. I wanted something to make my left overs Crisp like they were just cooked. This was reasonably priced so I thought I would give it a try. Hope it works! Reheating food sometimes needs to stay crisper. It would be nice to have a product that will crisp things in the microwave. I am hoping that it actually works. I need to brown the many things I cook in the Microwave. Facebook link from 25 ways to use a microwave. Crispy versus soggy left over pizza. So I don't have to heat up the oven. Thought I would try it for some of my microwave frozen items. I wanted my daughter to use her dorm room microwave to prepare homemade pizza (we use flour tortia shells). Eating on weekends is not always the easiest when cafe hours are limited. Thanks for the great product! Have been looking for something like this and wanted to give it a try. love the idea for left over egg rolls, and pizza. Want something that keeps pizza crisp while reheating! 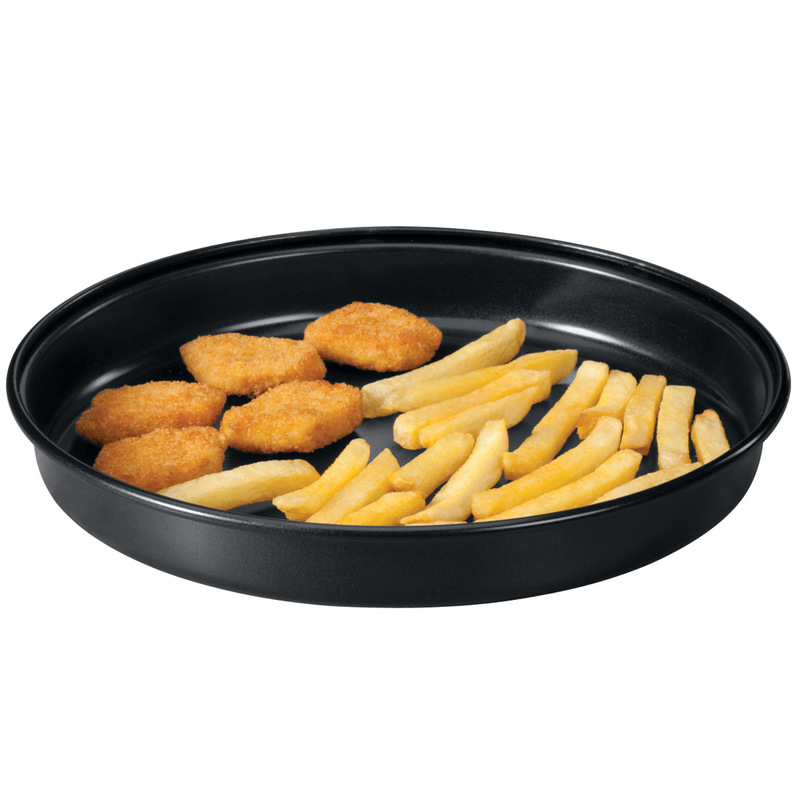 This a a great item to reheat food without turning on the stove. Great for crispy crust pizza. I warm up left overs frequently and this sounds like something I would like to use. It is very useful to be able to crisp food in the microwave instead of having to put it in the oven. Want to see if it really keeps crispy with microwave use. 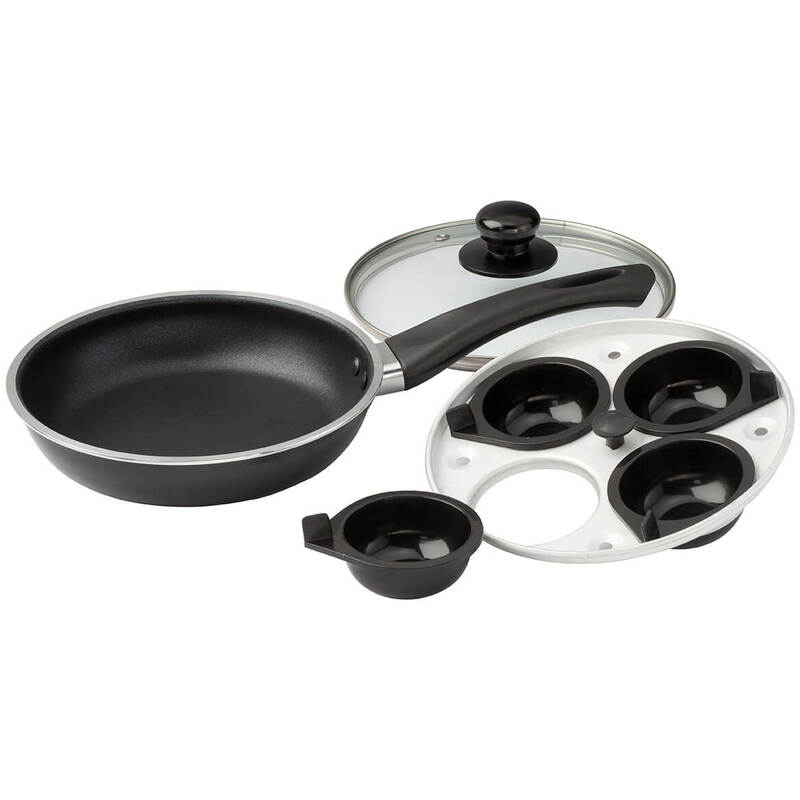 What is the non-stick coating made of? BEST ANSWER: Thank you for your question. The Coating : made by Silicone Modified Polyester Resin. We hope this information will be of help to you. can you make french fries in this? BEST ANSWER: I haven't cooked french fries yet, but I have reheated french fries, and they come out perfectly. I just ordered a second one. I love it! We have used the pan to make French Fries and it actually does a very nice job. Fries were cooked well and they were crisp. Directions for use of microwave crisper? BEST ANSWER: They forgot to tell you not to use anything but plastic utensils. I used a metal spatula and now the coating is coming off and I can't use it. I have a PDF copy of the directions but I cannot attach them here. In short, preheat empty pan on full power for 1 minute, place frozen fries in single layer, cook for 6 minutes on full power, let cool for 1 minute. Thicker cuts of potatoes will take longer. For other things it has been trial and error. It does work relatively well with the french fries. BEST ANSWER: Thank you for your question. We would recommend using a low heat option for a few minutes to reheat pizza. We hope this information will be of help to you. 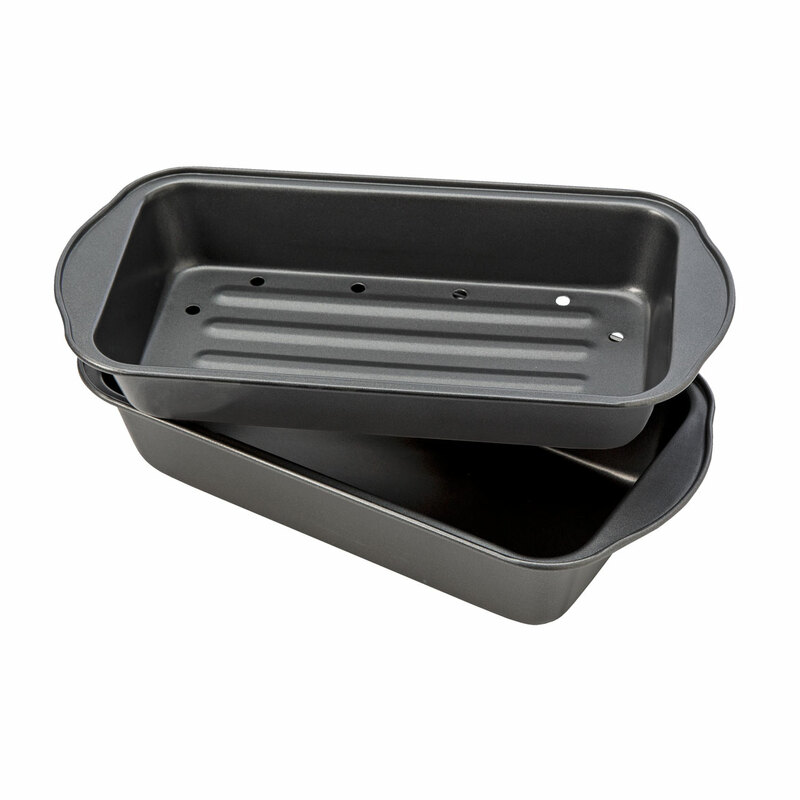 Can I toast bread in the micro using this pan? Does it need to be preheated? I thought metallic devices were not allowed inside microwave ovens. What kind of special alloy is this pan (#344853) made of? BEST ANSWER: Thank you for your question. This item is made of carbon steel.We hope this information will be of help to you. Thank you for your question. The Coating : made by Silicone Modified Polyester Resin. We hope this information will be of help to you.